When it’s summer we get a little relief from the dreaded heating bills, but regardless of the time of year there are things you can do to save money. With that in mind, turn your attention to making changes to your property now that will keep it warm during the winter months. Rose Jinks, of LandlordNews.co.uk, has ten top ways that homeowners, landlords and tenants alike can keep the heat in this winter. Insulation is key to keeping your bills down, while helping your property stay warm in winter and cool in the summer. Your roof and loft should be insulated, along with either cavity or solid wall insulation. You may also want to think about insulating your floor. Landlords, in particular, should be aware of different types of insulation, ahead of forthcoming energy efficiency regulations. As of April 2018, it will be illegal for landlords to rent out properties with an Energy Performance Certificate (EPC) rating of F or G.
Those that need to make improvements to their properties should start as soon as possible. If you’re a landlord and you’re worried about the energy efficiency of your rental property ahead of the new rules, now might be the best time to think about replacing your boiler. Older boilers can not only be temperamental and unreliable, but they are generally less energy efficient too. 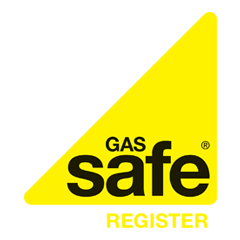 Avoid being hit by the new laws by looking at Boiler Guide’s comparison tool. Homeowners, you should also think about installing a new boiler if you’re looking to cut your energy bills. All properties lose heat through their windows, but double or even triple glazing can keep your home warmer and quieter, as well as reducing your energy bills. Double glazed windows have two sheets of glass with a gap in between, which traps the heat in, making your property more comfortable and energy efficient. Although triple glazed windows have three sheets of glass, they aren’t always better than double glazed options, so always assess the best choice for your property. Again, landlords should consider changing their windows if the property does not reach upcoming energy efficiency requirements. But what about cheaper options? If you don’t have a lot of money to spend on energy efficiency improvements, there are cheaper options for you to consider. One of the easiest ways to keep your property warm is with heavy curtains. Find curtains with thermal lining, or line your current ones yourself with cheap fabric. Putting thick curtains up in every room will protect your property from losing heat through the windows. And remember, drawing your curtains at dusk will help to keep the heat in when the cold nights set in. One of the cheapest and most efficient ways to save energy and money is by draught-proofing your property. If you have any gaps around windows, doors and floors, cold air will be let in and the heat will be let out. To effectively draught-proof your property, block up any unwanted gaps that let cold air in. This way, you will save the warm air in your home and therefore use less energy. Whether you’re a homeowner or a landlord providing a home to tenants, it is a good idea to use programmable thermostats throughout your property. These tools allow you to set on and off time periods for your boiler and select different temperatures in your home at different times of the day. This means that your property will be heated up when it needs to be, and you can save money when you don’t need the heating on. If you don’t already, it is a good idea to look into insulating the pipes throughout your property. This will reduce the amount of heat lost, so you spend less on heating water up and the hot water stays warm for longer. Slipping pipe insulation around any exposed hot water pipes is easy if the pipes are accessible, and you can often complete the task yourself. Similarly to pipe insulation, using a hot water tank jacket on an uninsulated tank will save energy and money. All jackets should be at least 75mm thick, which will cut heat loss by more than 75%. Hot water tank jackets cost around £15, and you’ll be pleased to know that it would take less than six months for the fuel saving to pay the jacket off. Not only is this an easy way to keep your property warm this winter, but it is cost effective too. Are you looking for a cheaper method? The debate over whether you should keep your doors open or closed has been going back and forth for some time, although it is widely believed that keeping the air flow going is important for your property. Make sure that your internal doors are open throughout your home and you will keep the warm air moving through. If your doors are closed, the air flow process becomes slower, which uses more energy than allowing the heat to circulate. Although you may want to keep the warmth contained, you will be better off allowing the heat to flow through your home. An easy and fairly cheap way to stop heat escaping through the floor (and to keep your toes warm!) is with floor coverings. This could be a nice cosy carpet or a rug in rooms that have wooden/linoleum floors. Although this won’t make as much difference as floor insulation, it is still a simple way to keep your property warm. If you’re a landlord that provides furnished accommodation, consider putting rugs in your property as the winter arrives – I’m sure your tenants will appreciate the thought. No matter what time of year it is, it’s a good idea to start putting a plan together now that will keep your property warm year round. And remember, spending a bit of money now could save you in the long run.